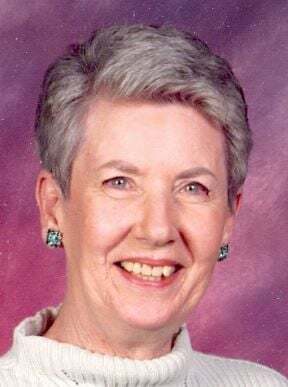 TWIN FALLS—Deanna Hakkila peacefully passed away on April 5, 2019 in her home in Twin Falls, Idaho. Deanna J. Hakkila was born to Shirlee and Glenn Brooke in Gary, Indiana in 1939. She had one brother “Chickey” who passed at the age of 3 years old. As a child she grew up learning life long values from her parents, the “folks”, that she passed down to her children, grandchildren and great grandchildren. She loved exploring and playing in the Snake River Canyon as a child when the family relocated to the Idaho area. She loved catching lizards with her son and painting toe nails with her daughter. She loved the outdoors, hiking and being close to God. As an avid reader her knowledge of so many subjects fascinated her children along with the countless stories she would tell from her many life experiences. Mom loved her dachshunds, Sarah and Onie and always had to keep her hands and mind busy with crafting, building dollhouses, beading, sewing and cooking.She loved gardening and pulling weeds. She claimed pulling weeds brought her peace. She loved all walks of life all around the world and cherished the Native American culture. She loved her Bible Studies, her amazing friends whom we feel like we know as our family. Mom served as a Paymaster for the Hotel and Hospitality industry in Las Vegas and was responsible for handling employee payroll. She was so proud of never bouncing a check and never receiving a speeding ticket. Mom loved her church and felt blessed to have such loving Pastors and would want us to say thank you to Pastor Jason for his Spirit. Mom would want everyone to know and understand that she is in the loving arms of her Savior, Jesus Christ and “that because of the resurrection, death could not hold him and cannot hold her either as a baptized child of God.” She carried with her a deep commitment and faith to Jesus. She loved the Lord with all the fiber of her being. She was funny, incredibly loving and soft with her words. She was our Mom, whom we referred to as “Mama.” We are eternally grateful for opening our eyes, sacrificing unlike anyone could sacrifice and loving us with every ounce of your soul. She leaves behind her two children Jeri (Kenny) and David (Kelly-Jo); her five grandchildren, Jessica, Sinclair, Christian, Jonah and Noah; and her two great grandchildren, Nevina and Alexia. A memorial will be held at St. Paul’s Lutheran Church located at 1301 N. Davis St. in Jerome at 11 a.m. Saturday, April 20, 2019. 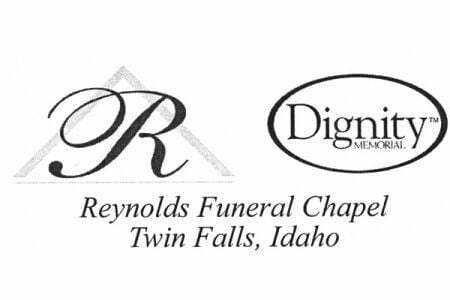 Funeral arrangements are under the care of Reynolds Funeral Chapel of Twin Falls.